Whether it’s because you’re young and still live with your parents, or just live in an apartment where smoking is off limits, especially if it’s cannabis, not everyone has the liberty to own and enjoy a glass bong. If that’s the case for you for whatever reason, cheap bubblers might be the key. 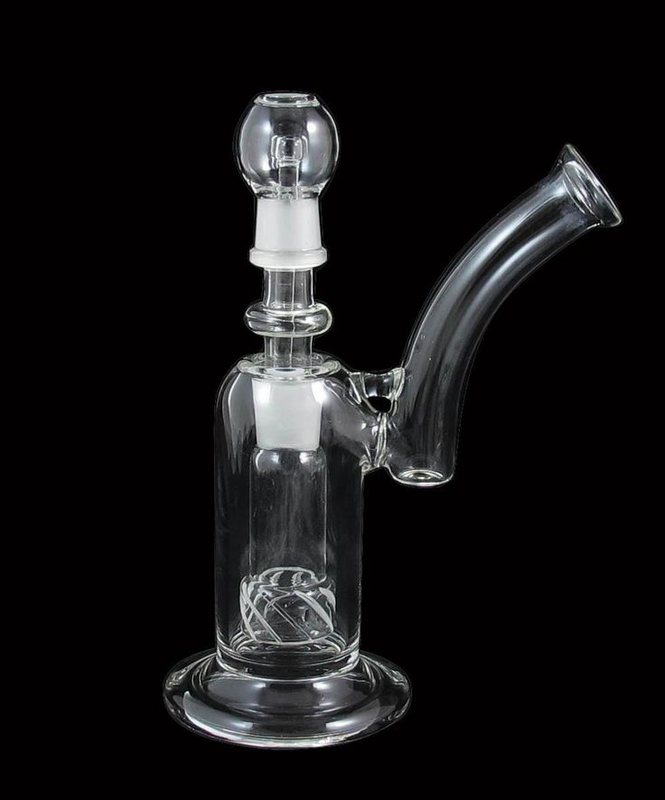 What exactly is the difference between a bong and a bubbler anyhow? To be honest, it’s pretty much just a matter of size. There’s no definite line between what might be considered a bubbler compared to a bong. Generally, if it’s about pipe-sized and easy to hold with one hand, but can contain water to filter smoke, it would be considered a waterpipe or bubbler. Why Not Just A Pipe? If you’re thinking of getting a bong, or you’re disappointed that you can’t really get one, it’s pretty likely that you’ve hit a pipe a time or two. A regular old spoon pipe is definitely handy, quick and easy to use, but everyone knows how harsh a pipe can be. It’s small size doesn’t lend itself to very much cooling action so of course it irritates the throat. A lot of people would be surprised at what a dramatic difference just a bit of water can make for a session. Water’s only job in a bong is to cool down the smoke and that’s what makes a nice, big bong so much smoother and easier to smoke than a pipe. Even little cheap bubblers with some ice-cold water can accomplish this very well. Whatever the reason for your inability to get a bong, it probably has something to do with the difficulty of hiding such a clunky and smelly object. Bubblers allow you to enjoy the benefits of water filtration but are small enough that they’re easy to store and hide. Just pop them into a mason jar or well sealed bag, wrap them in saran wrap, whatever, and throw it underneath all your socks in your dresser or something. Clean it regularly if you don’t want the smell to be an issue too.